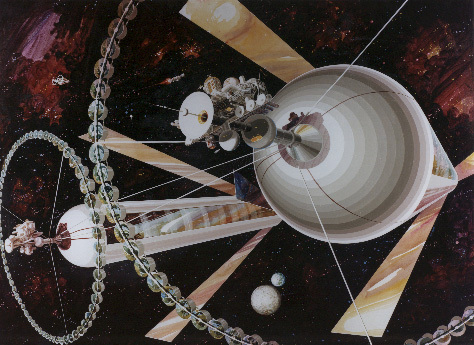 Currently, there are no active plans to develop large Space Settlements in the Solar System. 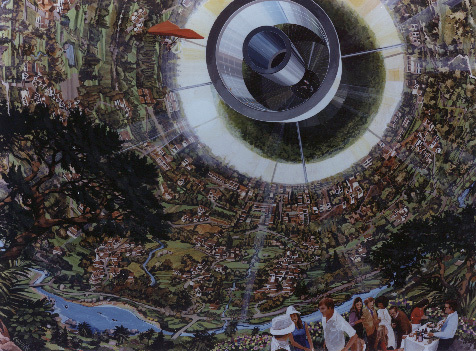 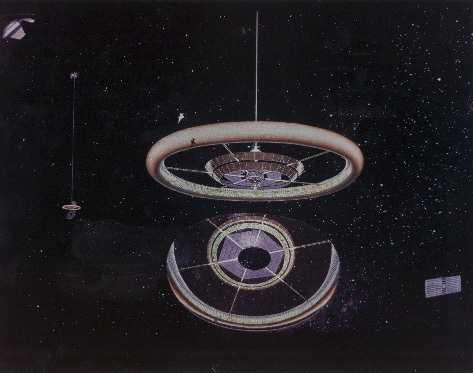 Construction proposals for large habitats in orbit around Sol that would provide pseudo-gravity through facility rotation were developed during the 1970s, however. 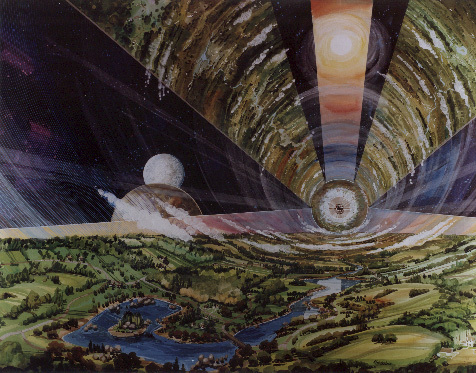 Intro - overview by Oscar Coombs. 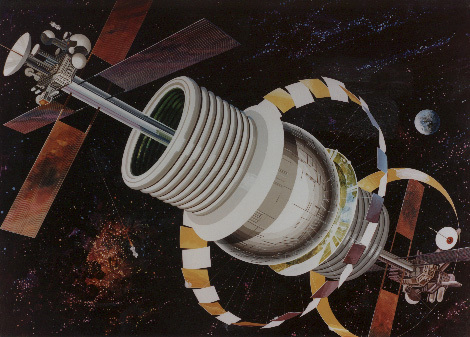 would rotate to provide pseudo-gravity. 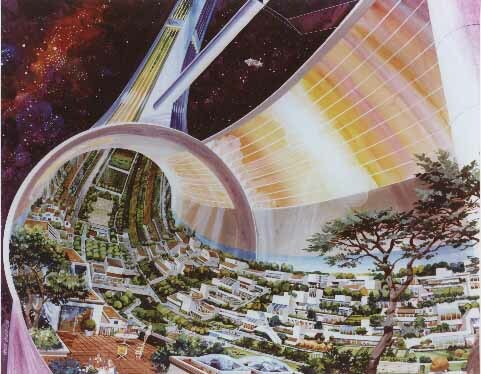 proposed for Stanford Torus colony. 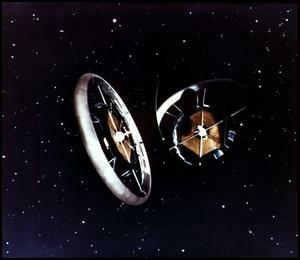 1975 Study - collected by Al Globus and Bryan Yager at NAS/NASA. 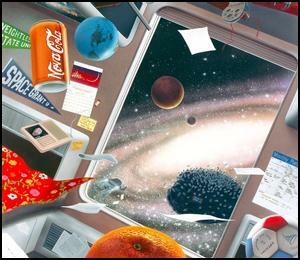 Art Gallery - collected by Al Globus and Bryan Yager at NAS/NASA.